Reduce your monthly utility bill and cut down on wasted water with a cutting-edge plumbing system. If you’re building a new house or replacing the aging pipes in your existing home, consider the benefits of a ManaBloc plumbing system. This is a relatively new—and, yes, somewhat revolutionary—way to plumb water lines. What is it? Well, think of an easy-to-install, not-likely-to-leak ManaBloc as a sort of Grand Central Terminal for the drinking and bathing water in your house. It channels water from your well or your municipal supply via plastic tubes, not metal pipes, to the kitchen faucet or bathroom shower head or wherever the water needs to go. What’s truly remarkable is that for each plumbing fixture, there’s a separate, dedicated delivery line. The result is an energy-efficient, cost-saving plumbing system that reduces water waste and performs even better than many traditional systems. What really made the ManaBloc system possible was the advent of PEX tubing. “In the days of copper, it was not feasible to install a system like this,” explains Daniel O’Brian, an expert from online retailer SupplyHouse.com. 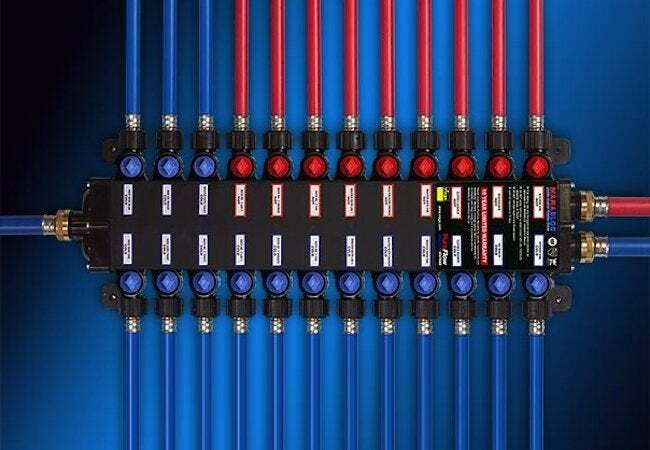 “That changed with the rise of flexible tubing options, most notably PEX.” PEX tubing allows for faster and more-efficient water flow. It’s also less expensive and more versatile than copper because, first and foremost, you can actually afford to run a separate line for each fixture. Second, due to its pliability, PEX tubing is easy to fit behind walls. Finally, the ManaBloc is designed so that fixtures that have lower water volume requirements can be served by tubes that have a smaller diameter. 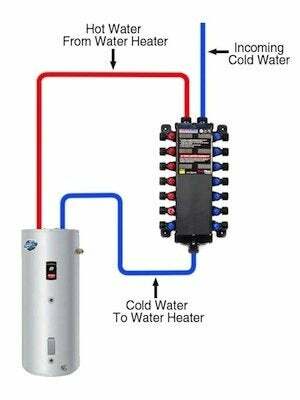 This flexibility saves water and, by extension, saves the homeowner money. ManaBloc connection fittings are sold separately and come in three styles: compression fittings, crimp fittings, or PEX press fittings. Compression fittings do not require any special tools, while crimp fittings require a crimping tool (a special ManaBloc wrench can help properly tighten the connection). ManaBloc plumbing packages are readily available and include everything you need to get going right away. This is a sponsored post on behalf of SupplyHouse.com. Its facts and opinions are those of BobVila.com.